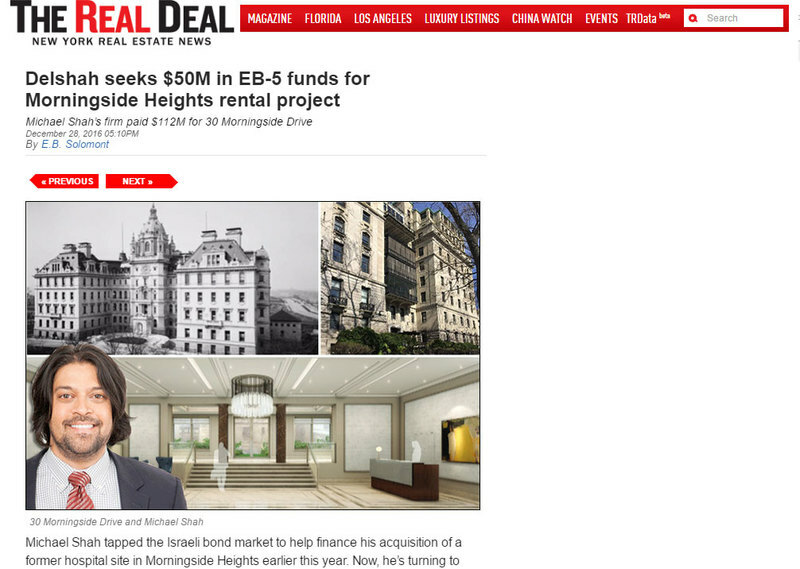 Michael Shah tapped the Israeli bond market to help finance his acquisition of a former hospital site in Morningside Heights earlier this year. Now, he’s turning to Chinese investors to fund the conversion of that property into 205 rental apartments. Shah’s Delshah Capital is looking to raise $49.5 million through the EB-5 visa program — the controversial immigration program that grants foreign investors a U.S. green card in exchange for an investment of $500,000 or more. Delshah is working with Advantage America New York Regional Center to line up investors for 30 Morningside Drive, which Shah said has a total construction budget of $255 million. Delshah bought the site in June for $111.5 million from Mount Sinai St. Luke’s Hospital.